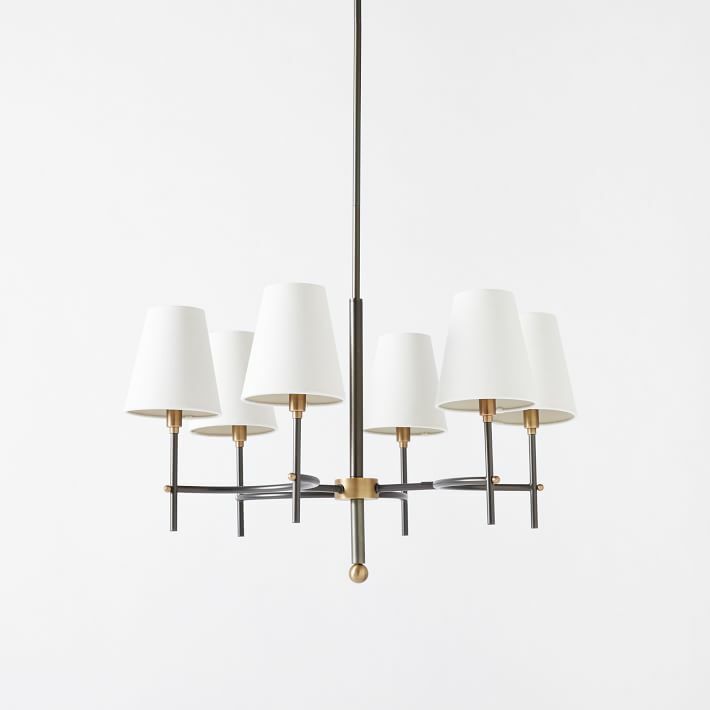 I look at a lot of lighting and recently I've really been into the West Elm Arc Mid-Century chandelier. It's a stylish fixture that is at an incredible price point. Here it is on it's own. It reminds me of another overhead fixture I've recommended for several clients; the Bryant chandelier from Circa Lighting shown below. It comes in a few different colours/finishes and 2 different sizes. It has a classic look that can fit work with many different styles. I've always liked it in this room from Domino magazine, this looks like it is in the bronze finish. Here is the fixture in the hand rubbed antique brass finish. And now Circa has this version, called Farlane, which also has a similar look but is a higher price point.